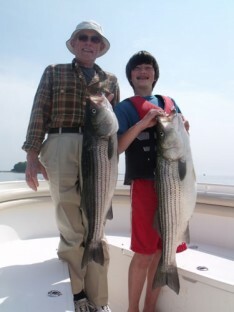 Noah S. and his grandfather Frank enjoyed a strong chunk bite on the shallows. All of the stripers were caught on Captain Mike’s light tackle which made the trip that much more enjoyable. The chunk bite has been intensifying more and more each day!!! We still have some openings for next week so book now!! !